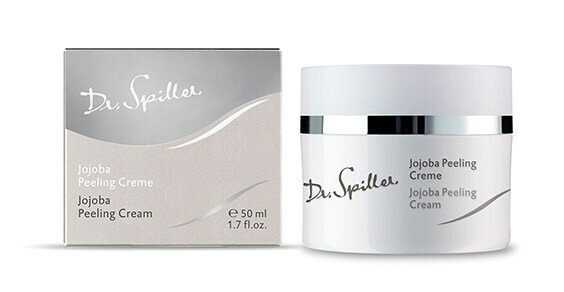 The Jojoba Wax Beads in Jojoba Peeling Cream gently exfoliate excess keratinization. Regular use enhances the skin’s ability to absorb active ingredients from subsequent skin care products, for increasingly refined and supple skin with every exfoliation. For all skin concerns. Once or twice a week, apply a peeling to face, neck and décolleté and exfoliate for 3 to 5 minutes with moistened fingertips. Remove peeling with a damp cloth. For skin sensitive to friction, use a mechanical peeling no more than once every 2–4 weeks.